No propaganda, no advertisement no BS. Wow not being an US citizen still proud of your work Gerald, thanks to this two guest. Great videos!!! We need to keep a conversation going on how to widen our circle. We should be as creative as possible. Gerald...you made the right decision to stay. I know it's hard; tempted to leave and go anywhere, but here believe me I know the feeling. Change has to come from within- starting with the individual (Independent though/Open minded thinking). What good would running away do, but a disservice and a continued perpetualness of what is going on today in the world. So, that said I honestly have to say thank you for not giving up, I know my grandfather didn't when he was trying to make it home to grandma during ww2, so I (or we)can't give up either...I know my granddaddy would be proud...thank you truly. This is the truth that should set us free. What an insightful overview,illuminating the roots of the world geopolitical demise,unless Dr.Paul Craig Robert's NATO solution doesn't unfold! Let us all call,write or e-mail our local,state and especially U.S.House and Senate representatives and urge/demand that they each subscribe to www.trendsresearch.com,then purchase and LISTEN to Dr. Paul Craig Roberts! 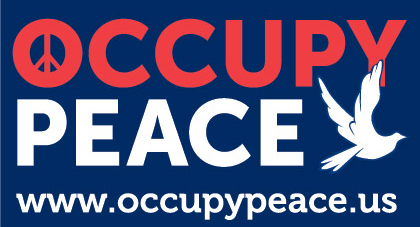 Occupy Peace through the education of (our?) representation. They are the ones that can stop this madness. The cognitive dissonance can be broken. How could one believe in GOD,goodness or America and continue our countries action? For this is what we see. Or have we (they,our? government) Vote for those that will avoid foreign entanglements! Or don't vote! They held an election and no one came for there were none to vote FOR! The video quality is pretty good, but unfortunately the same cannot be said about the sound. It seems that only mr. Celente's microphone was active in PCR segments, so PCR's speech is unclear and noisy. Actually, virtually all the speech is noisy, because the microphones had wrong sensitivity level. And to top it off, there are loud random booming noises in the background. Who the hell did audio recording and editing? This sounds like an amateurish videoblog by a 10-year-old, not a recording from $2500 conference which aims to start a global peace rally! How the hell you hope to appeal to masses with your message when you fail at such basic technical tasks? The current generation is used to much, much higher technical standards in their multimedia content than this. I was really looking forwad for PCR segments, but they're the worst from the set. Oh well, another day, another disappointment. A good video editing program would balance out the sound. Anything is repairable in video if you have the tools and time.